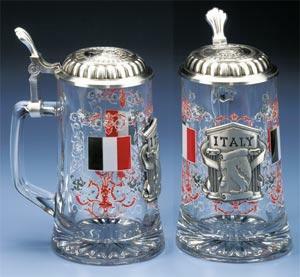 This glass stein is decorated with a high-fired design that was created by artist Nora Wildgen. 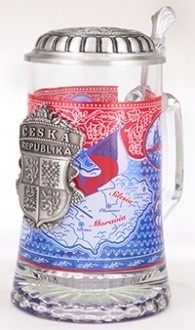 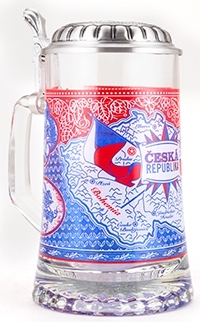 It features red, white, and blue colors of the Czech Republic, along with a map showing major cities and regions, and four detailed vignettes highlighting the Czech Republic's brewing and cultural history. 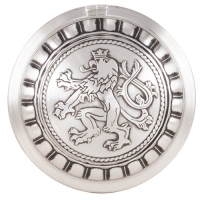 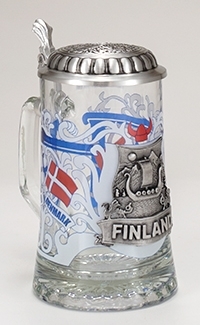 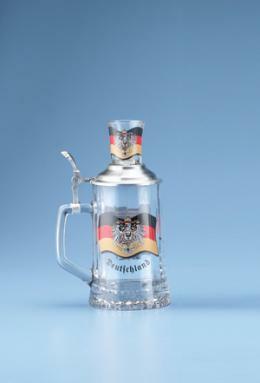 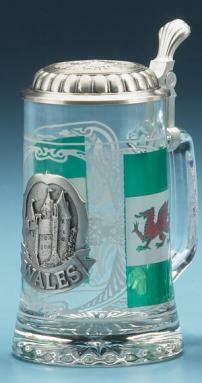 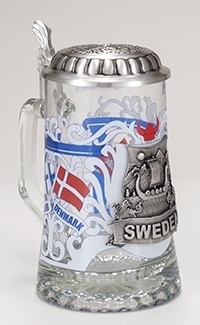 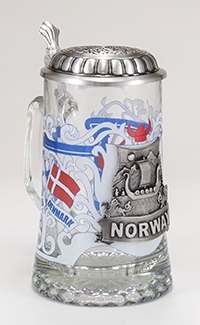 The pewter lid of the stein is decorated with an image of the Czech national emblem of the two-tailed lion.